Joseph Panetta is President and CEO and a member of the Board of Directors of Biocom, California’s largest and most-experienced leader and advocate for the life science industry. Biocom works on behalf of over 1,100 members to drive public policy, build an enviable network of industry leaders, create access to capital development, introduce cutting-edge STEM education programs, and create robust value-driven purchasing programs. Mr. Panetta works with an experienced professional staff of 50, with offices located in San Diego, Los Angeles, San Francisco Bay Area, Tokyo, and Washington, D.C.
Mr. Panetta is co-founder of the Biocom Political Action Committee, the Biocom Institute for education and workforce development, and chairman of the California Biotechnology Foundation. In 2014, Mr. Panetta was appointed by California Governor Jerry Brown to the Independent Citizens Oversight Committee, which serves as the governing and oversight board for the California Institute for Regenerative Medicine (CIRM) and is responsible for providing grant funding under the $3 billion California Stem Cell Initiative. Mr. Panetta holds a Bachelor of Science degree in biology from LeMoyne College, and a Master of Public Health degree in industrial and environmental health from the University of Pittsburgh. Mr. Panetta brings a depth of experience to his role, having worked in the life science industry at companies including Dow AgroSciences, Mycogen, Shearing AG, and Pennwalt Corp. He also served as a senior policy analyst at the U.S. Environmental Protection Agency in Washington, D.C. Mr. Panetta joined Biocom in 1999. 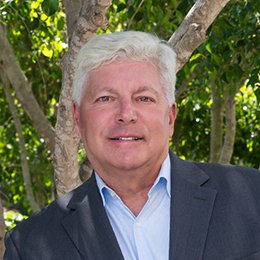 Mr. Panetta serves on the boards of directors of the San Diego Regional Economic Development Corporation, the San Diego Regional Chamber of Commerce, and CONNECT. Mr. Panetta is a member of advisory boards at UC San Diego, San Diego State University, Cal State University San Marcos, and National University. He received the following awards: the American Academy of Pharmaceutical Physicians Special Recognition Award; the CONNECT Distinguished Contribution Award for Life Science Innovation; the Association of Pan Asian Communities Annual Leadership award; and the LEAD San Diego Ronald Kendrick Memorial Award for Regional Collaboration. In June 2018, he was awarded the Most Admired CEO of the Year for Non-Profit by the San Diego Business Journal. Hear from Biocom’s President & CEO, Joe Panetta, as we kick off the conference and share the latest updates surrounding our medical device and digital health initiatives.